Hey there. I come with a feature request (or a collab request). I originally was going to release the map in its current form, but I've decided to hand this map off to anyone who wants to take it. From a couple opinions I have received, it's a map that may need a little more work to it. I want somebody who will actually get it done, and have it ready for upload preferably within the next couple weeks - a month. I don't mind if more than 1 person wants to help either. I just want the map to be enjoyable for people. 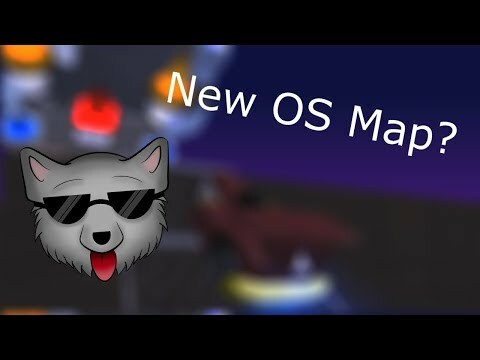 I only have 1 restriction on what is done with the map; it needs to remain a map that can be played in OS rooms. I also want to be notified of changes that are made (basically just send it back to me before it's released, so I can check/test it out). In that regard, I'd like someone who could take care of the rest of the deco. You'll also be allowed to make changes to the track, extend the track, or even get rid of some track if needed. You can also remove some of my deco if you want. If you're interested in being involved in this map, you can: contact me on Discord (Wolf_Pack#5698), privately message me on this forum, or reply to the topic. I'll be in contact with you. The map has been completed and released on one server already. Thanks to SmoK for helping out with the map. The map name is Wolfer ft. SmoK - Jolt. To give an update on the map, SmoK didn't change the track for the most part. He added deco, so the track will look similar to the above video. If TC wants a copy when your server is up, just DM me and I'll send it your way.